Most of the large appliances in your home run frequently, so it’s easy to tell when they need repairs. Loud noises, faulty operation, and even unusual odors are all ways to tell that your air conditioner, heater, refrigerator, or other appliances are failing. However, your generator only runs in case of an emergency, which can make it difficult to tell when there is trouble. Don’t wait for a disaster to find out whether your generator is working correctly. Follow the following steps to ensure your unit runs when you need it most. Perform a Visual Inspection for Outward Damages: After a major storm, it may be a good idea to perform a visual check on your generator—even if there was no power outage. If it has sustained any physical damage, it’s best to call an electrician to come take a look at it, to be sure it works properly in case of an emergency. Test the System from Time to Time: Your generator goes for very long periods of time without running, so it can be difficult to tell whether or not it will work properly in the event of a power failure. Most experts recommend turning on the system every few months for a short period of time to be sure it starts without any difficulties. Trouble at startup can indicate a low fuel supply. Pay attention to anything that may signal damages, such as strange noises, and call a technician right away. Schedule Regular Maintenance: Finally, you should schedule maintenance with a professional technician every year to keep your generator in top shape. During a maintenance visit, a trained electrician will inspect every portion of your unit for damages, and run special tests to check for loose connections or a low fuel supply. The technician my also lubricate the engine and change the oil, if necessary. Your generator is intended as a safety measure, but the only way to ensure it runs safely and correctly is by scheduling maintenance every year and calling for a professional generator repair service in Simsbury at the first signs of trouble. 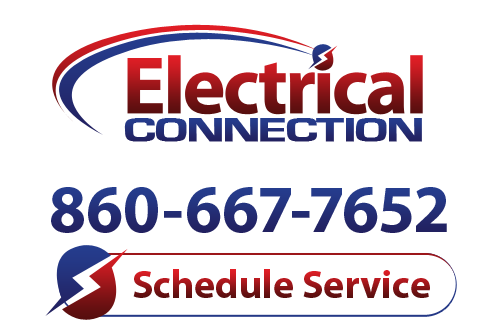 Call Electrical Connection, Inc. to speak with a quality electrician about your generator repair needs today!